#268 Dr. Justin Marchegiani and Evan Brand on SIBO and SIFO! Your gut affects your health in a variety of ways, and it’s not just about digestion. The health status of your gut can influence the immune system, your weight, and even your mood! In today’s part-podcast and part-Q&A video, let’s join Dr. Justin Marchegiani and Evan Brand as they talk about gut health and how it affects us as a whole. Watch and listen as they discuss topics like Small Intestinal Bacterial Overgrowth (SIBO), yeast or fungal overgrowth, weight gain and weight loss, and even the link between your gut and your mood swings. So many people are diagnosed with SIBO, in fact, Dr. Justin says that almost 90% of his patients are suffering from this condition. Learn how to manage your gut health by taking the right supplements, eating the right foods, and preventing issues from wreaking havoc on your overall health. Watch this video for more info! 10:00 Treating UTI by Just Hitting the Gut. Rhodiola root has been a popular herb for myself and my clients during consultations. It's been mentioned many times on the podcast. Rhodiola benefits can be achieved in both acute and long term use. Rhodiola rosea is commonly referred to as the golden root and is a plant that grows in cold and mountainous regions around the world. It was first mentioned in medical literature around 2,000 years ago by the physician and botanist Dioscorides. Rhodiola is part of a category of plants, herbs and other compounds called Adaptogens. These are some of the most helpful compounds for modern times when it comes to dealing with stress, depression and chronic fatigue. As we discussed with Dr. Mark Hyman on the podcast, stress causes or worsens 95% of all illness. In the age of productivity and overstimulation, we benefit most from a multi-dimensional approach to stress and stress management. Meditation, laughter, yoga and exercise can all be great tools, but may not give the oomph needed to support someone through a time of stress. Rhodiola rosea has a gentle effect when it comes to stress relief and has both immediate and long-term benefits. A study used 1375 subjects with "life-stress symptoms" and had them take 200mg of Rhodiola rosea extract twice per day. A total of 400mg per day. Pharmaceutical intervention with anti-depression medication has led to more suicides and other harmful side effects than the supposed benefits. As someone who lost a school acquaintance due to suicide shortly after jumping on anti-depression medication, it's a subject that I take very seriously. I've been looking for the magic solution to naturally heal depression including Seasonal Affective Disorder during the cold and dreary winter months and have found that Rhodiola combined with Light Therapy and these strategies can be useful for maintaining sanity. What if there were a natural alternative that had a great track record and didn't have a long list of harmful side effects beneath the label? Rhodiola fits the bill for this tall order and can be extremely helpful for mild to moderate cases of depression. After 42 days, the groups were reassessed. Crossfit has gained extreme popularity in the last decade and has pushed the boundaries of the human body. As someone who has personally consulted with burnout victims due to Crossfit, it's hard for me to recommend it for most people. With high-stress levels from financial and dietary sources, Crossfit can be the last straw that breaks the nervous system of a once "tough guy" or gal. But, if you insist on having a high-intensity exercise practice or enjoy pushing yourself to the limit in marathons, spartan races and others like my friend Ben Greenfield, then I encourage you to use some herbal support. Whether you're trying to shave seconds off your timed session or you're simply trying to gain the safe advantage over your competitors, Rhodiola has documented use for this exact goal. What Type of Rhodiola is Best? The main thing you'll need to understand is that not all Rhodiola rosea is created equally. While I prefer to use organic herbs whenever possible, there are currently no organic Rhodiola capsules for sale. I personally use this particular brand in my personal and health practice. This is one of my favorite plants of all time. I hope you are as excited about the world of Adaptogens as I am. There is more information that will be available on the research and clinical use of Adaptogens to come on this blog. (1) Panossian, A., G. Wikman, and J. Sarris. "Rosenroot (Rhodiola Rosea): Traditional Use, Chemical Composition, Pharmacology and Clinical Efficacy." Phytomedicine: 481-93. (3)V. Darbinyan, G. Aslanyan, E. Amroyan, E. Gabrielyan, C. Malmström, and A. Panossian "Clinical Trial of Rhodiola Rosea L. Extract SHR-5 in the Treatment of Mild to Moderate Depression." Nordic Journal of Psychiatry 61, no. 5, 343-48. (4) Noreen, Eric E., James G. Buckley, Stephanie L. Lewis, Josef Brandauer, and Kristin J. Stuempfle. "The Effects of an Acute Dose of Rhodiola Rosea on Endurance Exercise Performance." Journal of Strength and Conditioning Research: 839-47. 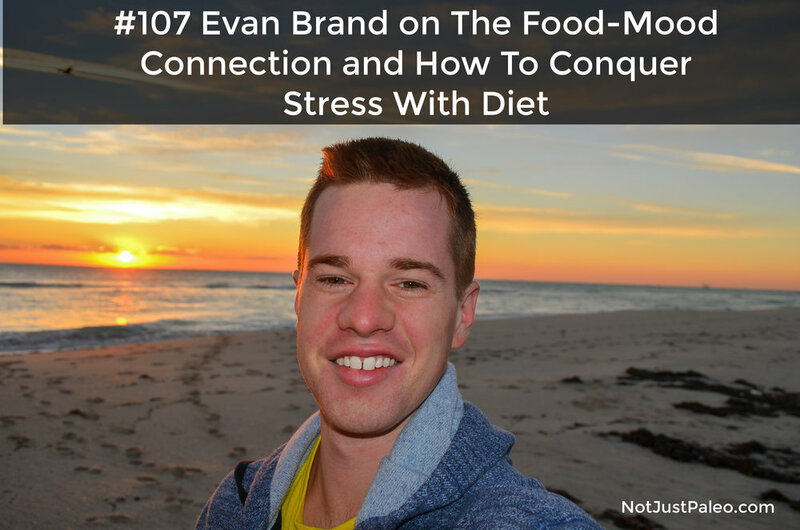 Evan Brand goes on Paul Dooley's Anxiety Guru Podcast to discuss the importance of quality nutrition when it comes to dealing with and overcoming stress and anxiety. He lays some of the groundwork for a solid dietary plan and gives a deeper insight into the nature-immersion technique used to improve the stress response. Dr. Rodney Ford is an associate professor, medical doctor and pediatrician. Dr. Ford is a pediatric expert who focuses on child health, food allergy, respiratory allergy, gluten-sensitivity, celiac disease and gastroenterology problems. His vision includes increasing knowledge of food problems, a broad recognition of food intolerance/allergy in the community and helping children become happy, healthy and vibrant. Dr. Ford also spoke at the incredible online conference called The Gluten Summit. How quickly can we heal from gluten consumption? How much does gluten affect our well-being? How do we heal from gluten damage? What supplements should we take to heal? What is the biggest health problem we are facing? Clinical Nutritionist Beverly Meyer from Ondietandhealth.com joins us for a second time. Click here to go to iTunes where can listen and subscribe to the show. Click here to go to Stitcher Radio where you can listen and subscribe to the show. What If It Really IS All In Your Head… Article on Beverly's site.